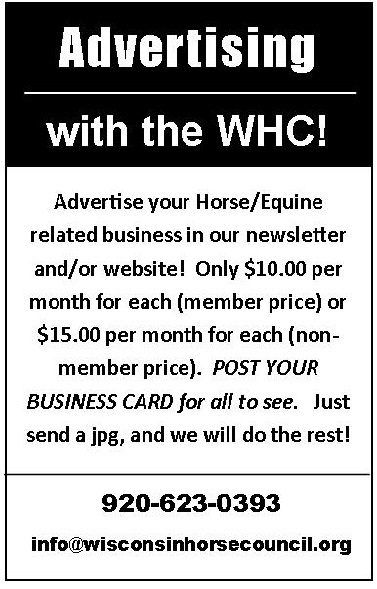 Welcome to the Wisconsin Horse Council (WHC) Website! 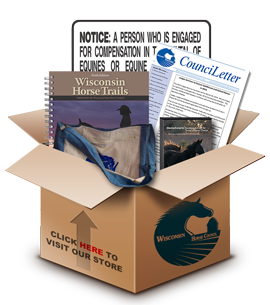 The Wisconsin State Horse Council (WHC) is here for "the horse" and the people who own them or simply love them. We exist solely for the welfare of the horse and the betterment of our industry as a whole. To represent and to foster a unified equine industry of Wisconsin. To promote the equine through leadership, education, service and communication. To take a pro-active role in the future growth and development of the equine industry. WHC is a non-profit organization representing horsemen and women and the equine industry in Wisconsin. In representing the equine industry we promote the horse through leadership, education, and service, and take a proactive role in the growth of our industry. The Wisconsin Horse Council would like to CONGRATULATE all of our WHC Annual Award Winners for 2019! Please plan on attending the Midwest Horse Fair on Sunday, April 14th, when we will present them with their awards. IT'S HERE! 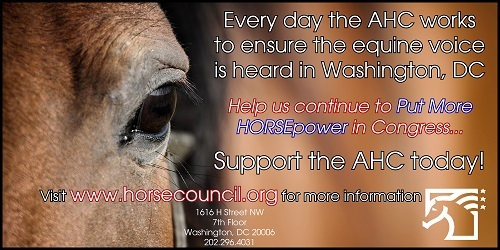 The American Horse Council Foundation's results of its 2017 National Economic Impact Study are now available! 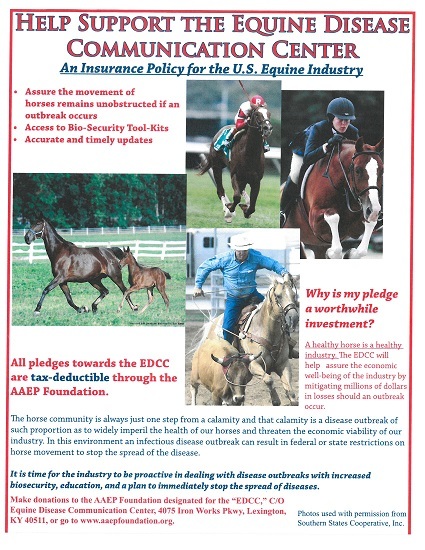 Please click on the link below to be redirected to the American Horse Council's website page where you can get all of the details and a link where you can purchase the new booklets of information. Have you heard? 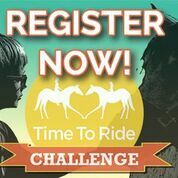 The 2018 Time To Ride Challenge is now open for registration! The purpose of the Challenge is to support individual equine businesses and organizations in attracting newcomers to horses by hosting an event at their facility. This grassroots approach gives barn owners the opportunity to grow their business by introducing non-horsey people to the beauty and benefits horses bring to our lives, while simultaneously growing the horse industry overall. MAKING A DISEASE ALERT SYSTEM A REALITY! Please click on the link below for all of the details and to access the donation form for this program.